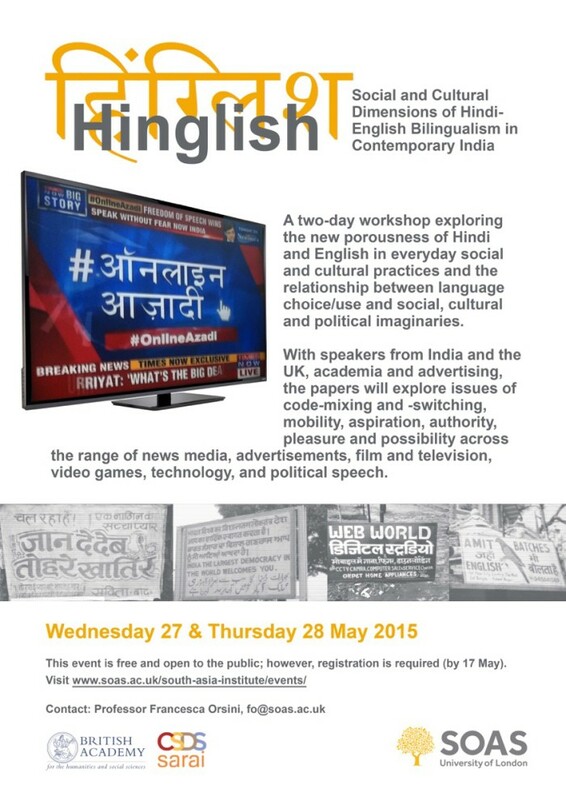 Following upon a successful workshop at Sarai-CSDS in August 2014, the Hinglish Workshop 2015 was organised at SOAS, University of London on 27-28 May, 2015. The workshop sought to continue our exploration of the new porousness of Hindi and English in everyday and cultural practices and the relationship between language choice/use and social, cultural and political imaginaries. 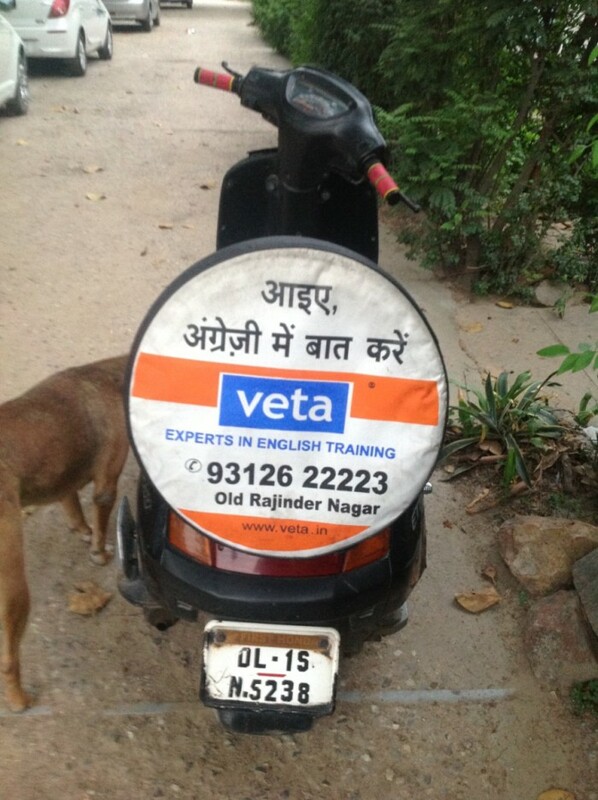 The relationship between Hindi and English has undergone enormous changes in contemporary India in the last ten years or so. After over a century of language nationalism and almost as long a period of intense competition and mutual contempt, in post-liberalisation and post-low caste assertion India the boundaries between English and Hindi have suddenly become more porous… [T]he relation between English and Hindi (and in variable terms between English and other Indian languages) has become less a zero-sum game and more a relationship of parallel expansion.